G. A. Harvey, 75, Elizabethton, passed away Saturday, October 20, 2018, at his residence. 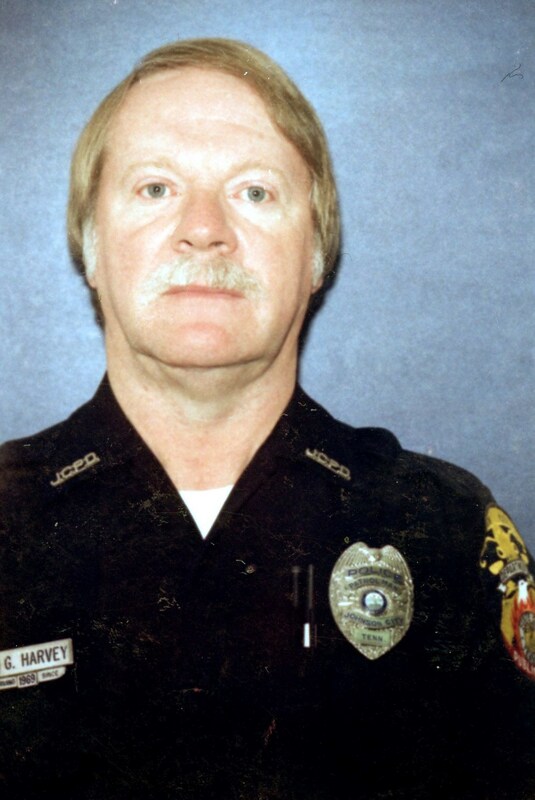 Mr. Harvey was born in Washington County to the late Lannie and G. A. Harvey, Sr. Mr. Harvey retired from the Johnson City Police Department in 1999, after 30 years of service. He loved old clocks and visiting antique stores. In addition to his parents, Mr. Harvey was preceded in death by: his wife, Ann; and son, Brian. Survivors include: his daughter, Lori Harvey and her husband Chris Stout; two grandchildren, Joey Harvey and Brittany Edwards; several great grandchildren; and his beloved dogs, Dixie and Crosby. The family of Mr. Harvey will receive friends from 6 PM until 8 PM Wednesday, October 24, 2018, at Morris-Baker. In lieu of flowers, memorial contributions may be sent to St. Jude Children?s Research Hospital at www.stjude.org/donate. To the family of Mr. Harvey, I remember “Harvey” from the neighborhood that my father lived in, Hidden Oaks. We would always stop and chat with him a few years back. We enjoyed our chats and the “fur babies” that came with him. May God wrap you in his loving arms during this time. Mr. Harvey, thank you for your service and God speed.